The path to a job well done isn’t always smooth and straight. There are obstacles to be overcome, challenges to be undertaken, and new roads to success to be discovered. If you’re embarking on a journey like this, you’ll need a truck that can keep up. You’ll need the unmatched durability of a Ford F-150. 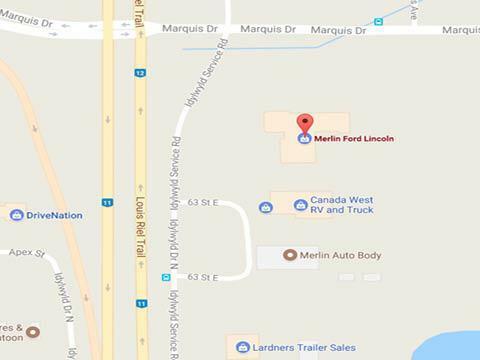 To find your Ford F-150 for sale near Martensville, visit Merlin Ford, where we love to talk trucks. If you can think of a task, the experts at Merlin Ford can help you find an F-150 with the tools to take it on. Our friendly, no-pressure sales staff has years of experience matching our customers with the new or used F-150 that’s got it all. If you’re looking for the kind of dealership experience that transcends the ordinary, and reaches new heights of extraordinary, you’ll want to visit Merlin Ford. 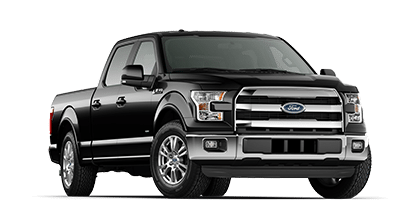 We’re proud to offer an exceptional selection of Ford F-150s for sale near Martensville, as well as the kind of service you’ll be excited to tell your friends about. You can find us at 3750 Idylwyld Drive N in Saskatoon, SK, or call us at 306-931-6611. We’ve got the largest on-site inventory in Saskatoon. We offer free detailing with every service. We’re proud to be the only official ROUSH dealership in Saskatoon! When building an exceptional truck, Ford knows that true strength starts from the inside out. The F-150 features a military-grade aluminum alloy body – the same strength that’s used in the aerospace industry. As a result, the F-150 is lighter and stronger than ever before, and also resistant to dents and corrosion. It’s out of this world! The Ford F-150 doesn’t just meet standards of durability, it sets new standards that go beyond the realm of ordinary. How? Through 16 million cumulative kilometers of torture testing. Only by pushing the F-150 to its breaking point can Ford discover innovative engineering solutions that keep you safer and let your F-150 go farther than ever before. In the Ford F-150, you can take on any task with confidence, knowing you’re protected by a suite of smart safety systems. The available Lane-Keeping system keeps you on the straight and narrow, while the Blind Spot Information System with Cross-Traffic Alert guards your flank. Get 360 degrees of protection with the available 360- Degree Camera System. Drive safer and smarter in a Ford F-150 for sale near Martensville. Go ahead, take it all with you. With a maximum towing capacity of up to 12,200 lbs when properly equipped, the Ford F-150 is a real workhorse. But thanks to smart systems like Pro Trailer Backup Assist, Dynamic Hitch Assist, and Smart Trailer Tow Connector, you’ll be able to control any load with ultimate precision. Find your finesse, with Ford. When you’re shopping for your next Ford car, truck, or SUV, you expect the best. At Merlin Ford, we deliver! We’re proud to offer Saskatoon’s largest lineup of new and used Ford vehicles. But we provide more than an impressive inventory. At Merlin Ford, we’re committed to providing the kind of exceptional, world-class dealership experience you’d expect from a representative of the Ford brand. No matter what your automotive needs are, you’ll find an unwavering dedication to your satisfaction in every department. We’re with you every step of the way, from “just looking,” to seeing your new or new-to-you Ford vehicle parked in your driveway. But our amazing service doesn’t end there! The trained technicians in our service department can help make sure that your Ford vehicle continues to exceed your expectations for kilometers to come. Stop by, and see how we can do more for you. You can find us at 3750 Idylwyld Drive N. in Saskatoon, SK, or call us at 306-931-6611. I just bought my very first car from Merlin Ford Lincoln. My salesman Tom was exceptional in helping me and making me feel comfortable, knowledgeable and was ready to answer all questions, no matter how small. Very friendly staff throughout, I couldn't be happier. I would recommend everyone to go there for their next purchase, and especially ask for Tom. I have bought an almost new vehicle from them, enjoy dealing with their service staff, and of course Joe is the best shuttle driver in town. The management is very community minded and you can tell the staff enjoy working here. Really good customer service. Free Shuttle service from Wayne, nice and smooth. My service advisor Thomas is a polite and patient man, he knows what he is talking about. Very professional. Highly recommended.